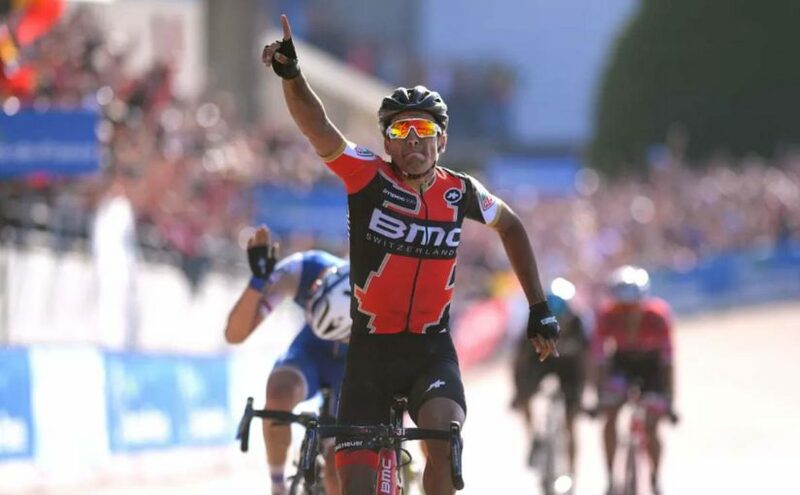 Greg Van Avermaet, BMC Racing Team’s Belgian rider won 115th edition of the Paris–Roubaix with a record average speed of 45.129 kph (28.042 mph). Avermaet broke Peter Post’s record of 45.204 kph (28.088 mph) which set in 1964. Today’s historic photo of the day: KAS rider Alfred Achermann crashes heavily and retires from the race on the Paris-Roubaix cobbles, in the Arenberg Forest. 86th edition of the “Queen of the classics”, Sunday, April 10, 1988. 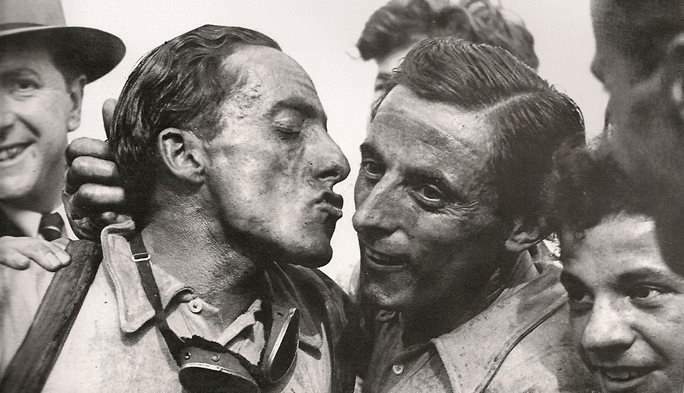 Today’s historic photo of the day: Serse Coppi kisses his elder brother Fausto Coppi after winning Paris-Roubaix 1949 edition. 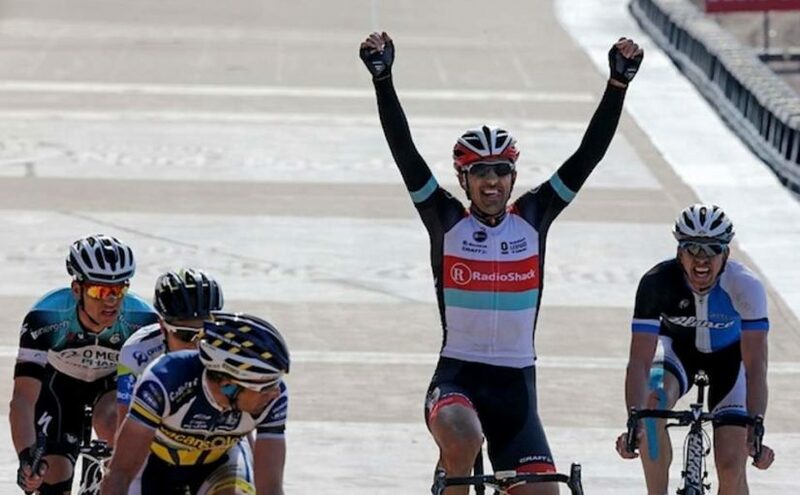 For the first and only time in history, there were two winner in Paris-Roubaix, and Serse was one of them. The other was team Stella-Dunlop’s French rider André Mahé. 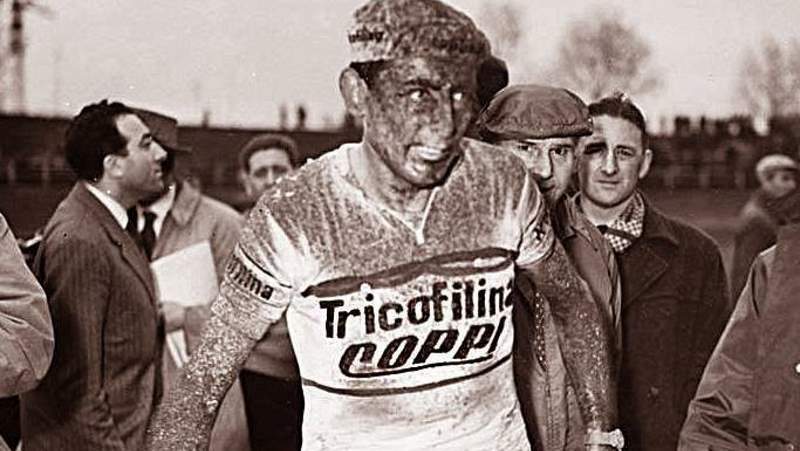 Today’s historic photo of the day: after Paris-Roubaix 1959 edition, Fausto Coppi, covered with mud. 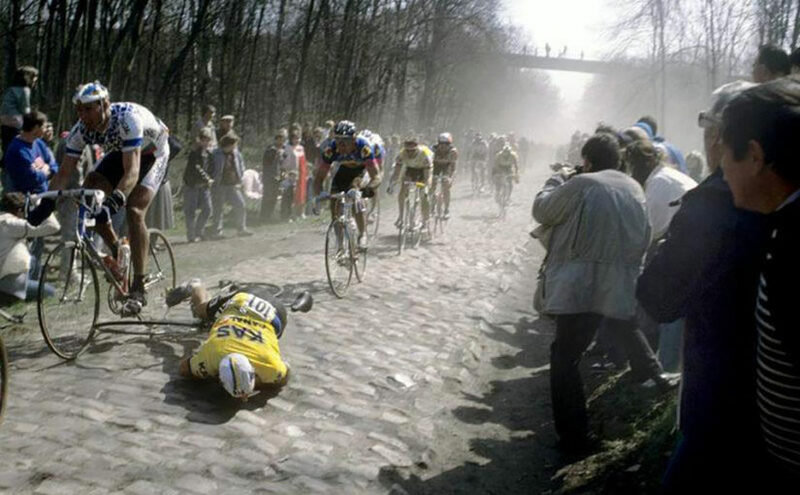 It was the latest Paris-Roubaix of “il campionissimo”, before his premature death in less than nine months. Today’s historic photo of the day, with a video: Fausto Coppi winning Paris-Roubaix 1950 edition, with a great solo attack. 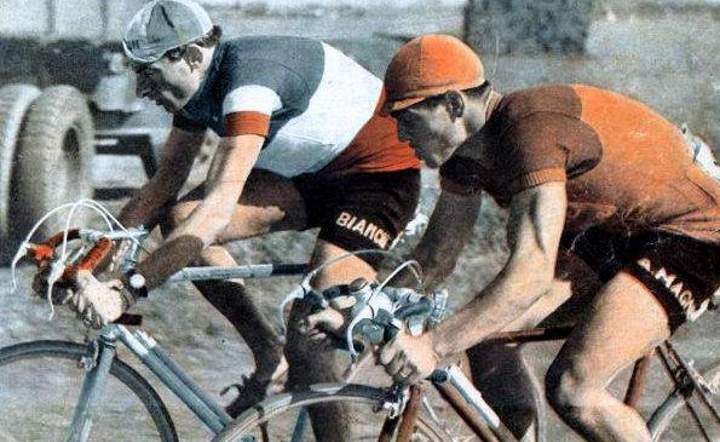 Coppi’s 1950 Paris-Roubaix winning move is widely regarded as one of the greatest rides in cycling history. 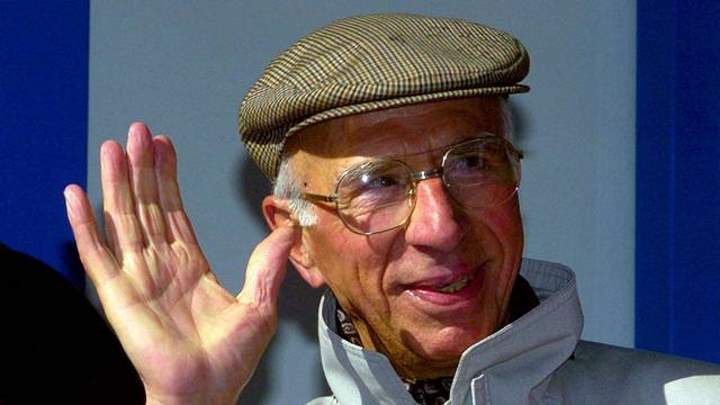 Pino Cerami, 1960 Paris-Roubaix and La Flèche Wallonne winner, and the oldest Tour de France stage winner (1963) after second world war, has died aged 92, after a long illness..
From Jørgen Leth’s “A Sunday in Hell”, the choir. Epic!